Find peace and harmony while creating these adorable amigurumi characters from My Little Pony Crochet. The step-by-step paperback instruction book has full-color photos so you’ll be sure to get each stitch exactly right. 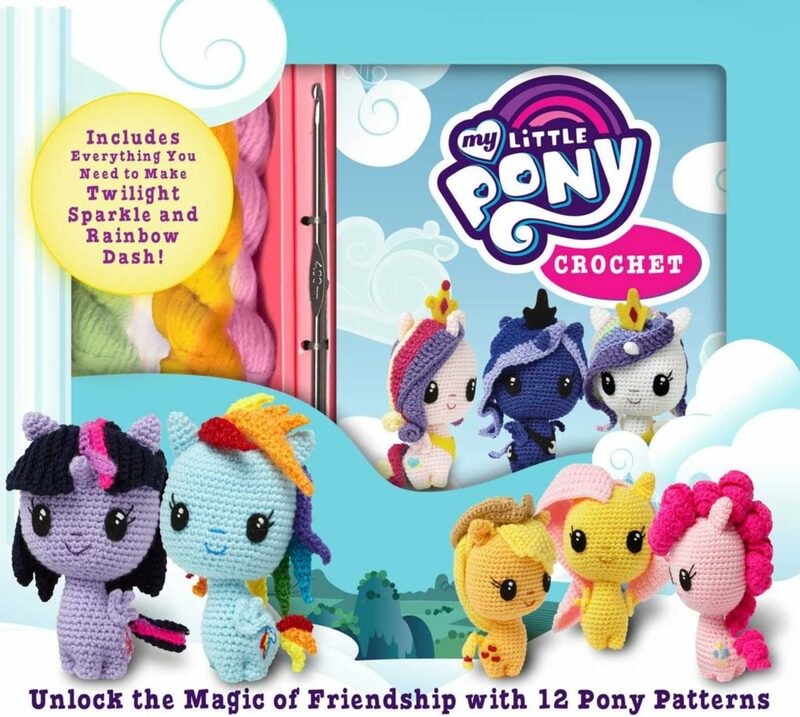 The kit contains everything you need to make Twilight Sparkle and Rainbow Dash: yarn, a crochet hook, felt, a large needle, embroidery thread, and stuffing. Kids and adults alike will adore the cuddly creatures you bring to life. Directions are included to create all twelve of these popular ponies! Get your own kit from the affiliate links below. Amazon USA – $19.91: 20% off; Gift-wrap and free shipping available! Amazon UK – £19.78; Gift-wrap and free shipping available!